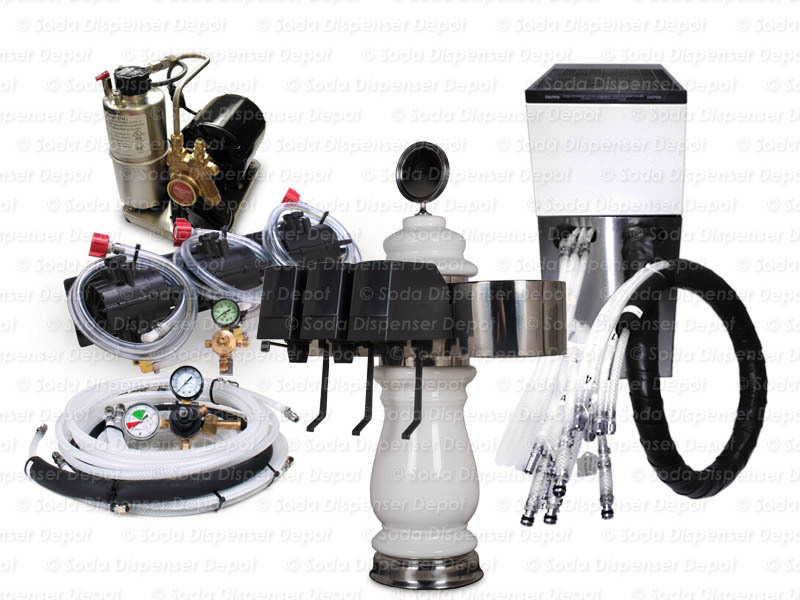 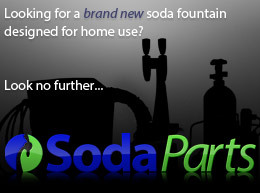 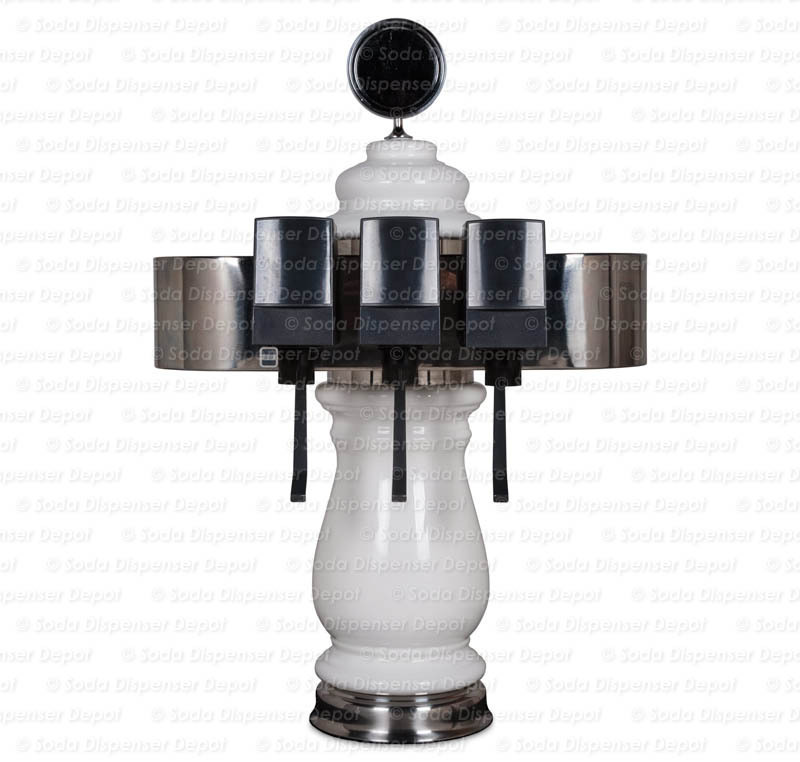 REMANUFACTURED Three (3) flavor porcelain tower soda fountain system. 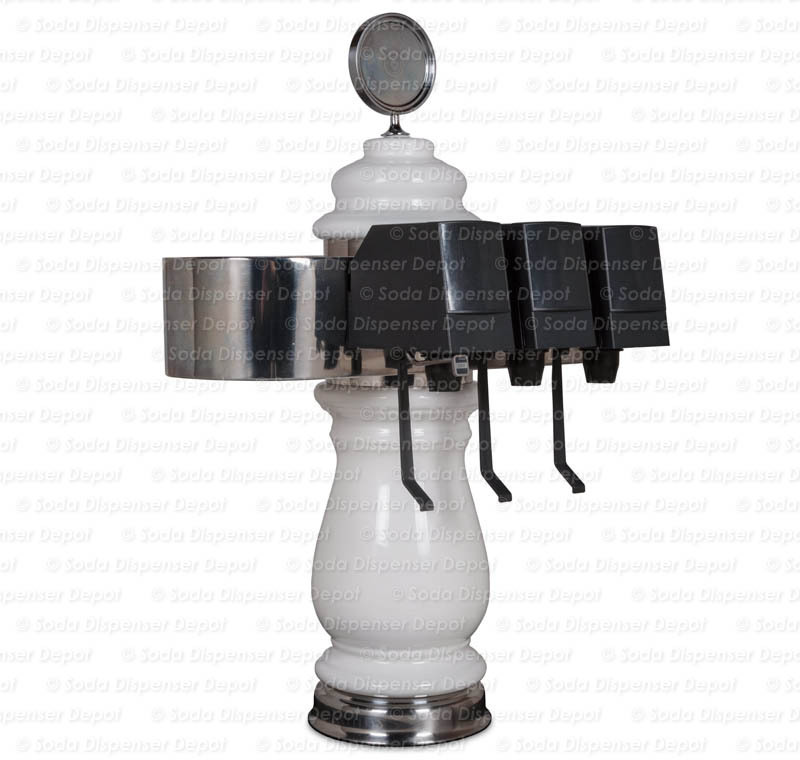 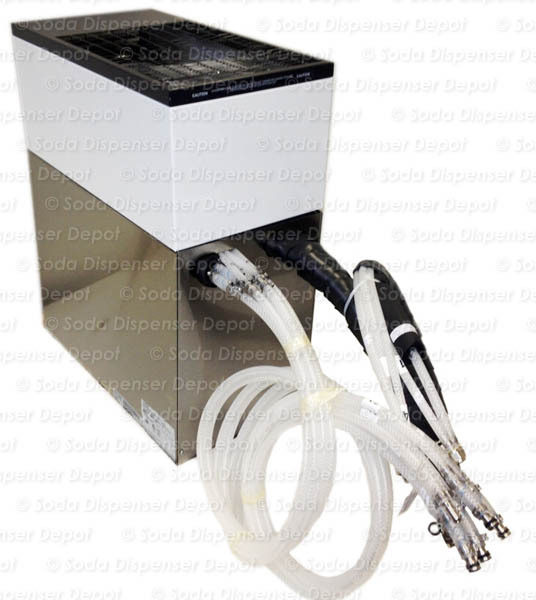 This uniquely styled dispenser is perfect for home, office or restaurant use. 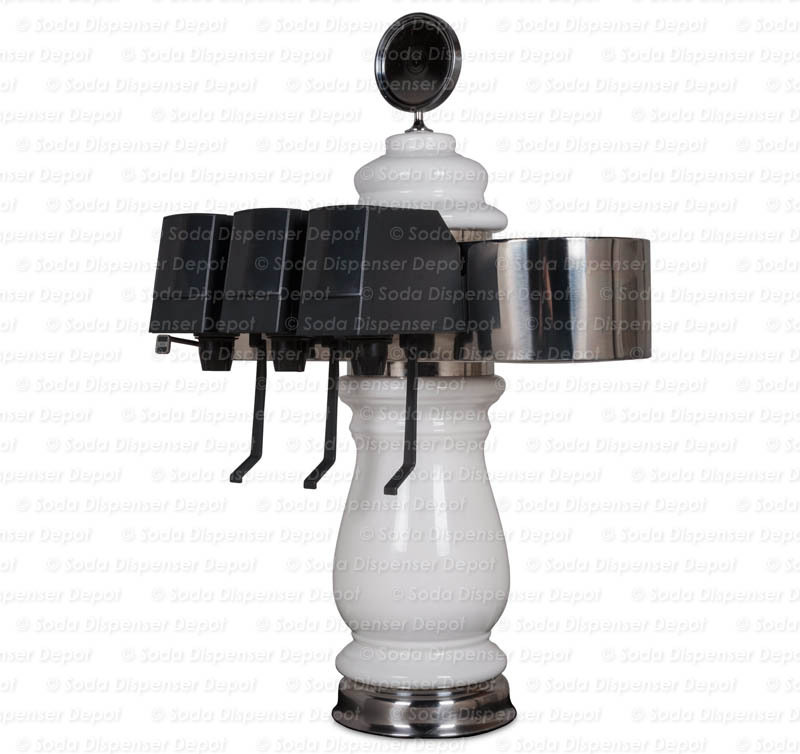 The porcelain tower is compact in size and blends in a variety of settings without eating up valuable counter space. 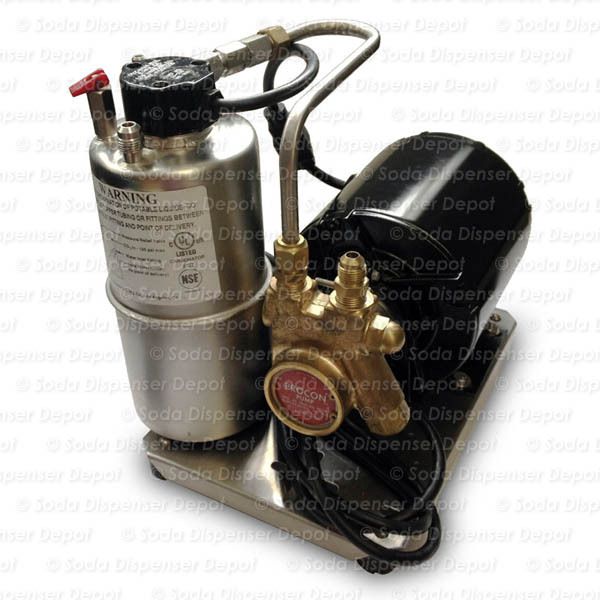 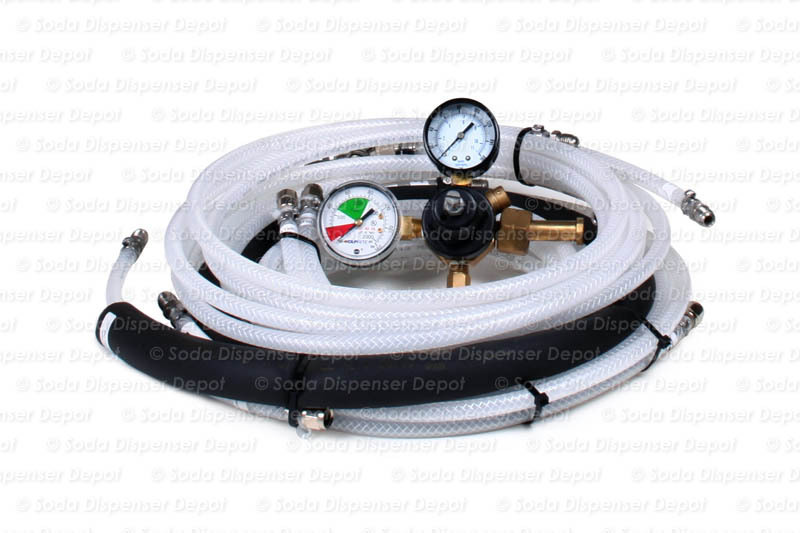 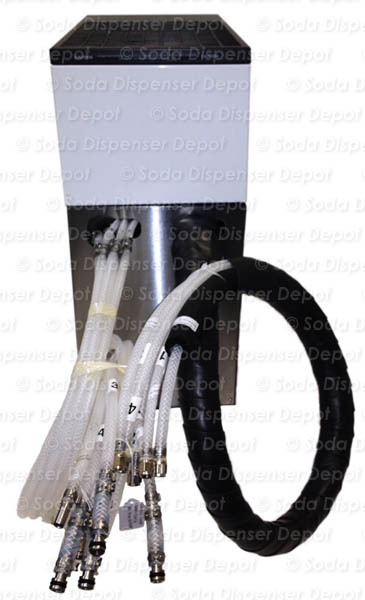 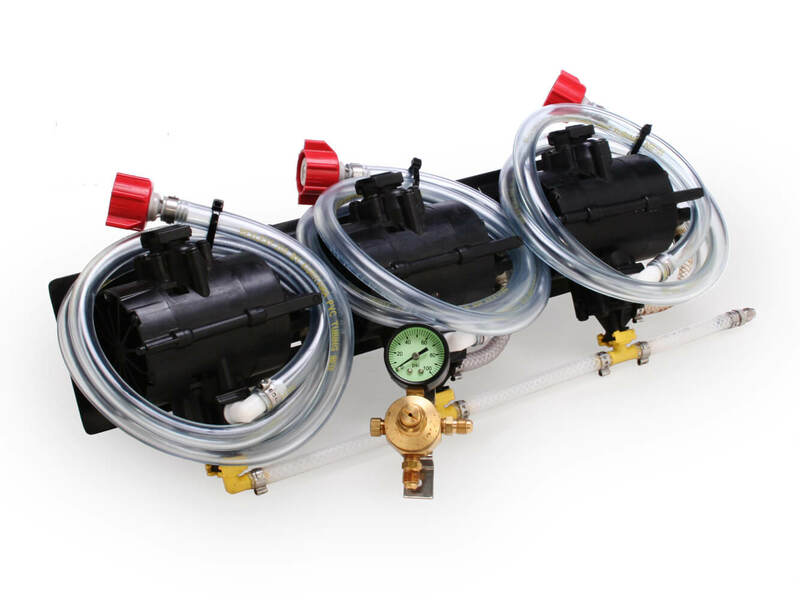 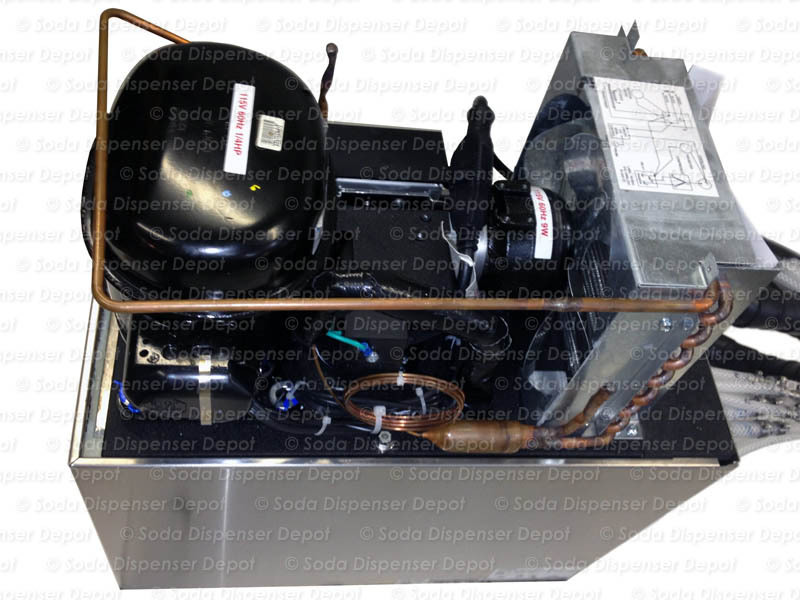 Also included: Three (3) syrup pumps and mounting bracket with BIB hosing and connect(s), primary & secondary CO2 regulators along with high pressure hosing, carbonator and remote chiller.